The completion of federal and provincial elections in December 2017 marks the end of an almost 12-year political transition and the beginning of a new economic future for Nepal. In June 2017, when the World Economic Forum reported that Nepal was the third-fastest growing economy in the world after Ethiopia and Uzbekistan, international media outlets did not know how to react. For the first time in recent memory, Nepal was in the news for positive reasons. A 7.5 per cent economic growth rate verified by the World Bank, the IMF and the Asian Development Bank prompted global investors to pause and reconsider their impression of Nepal. 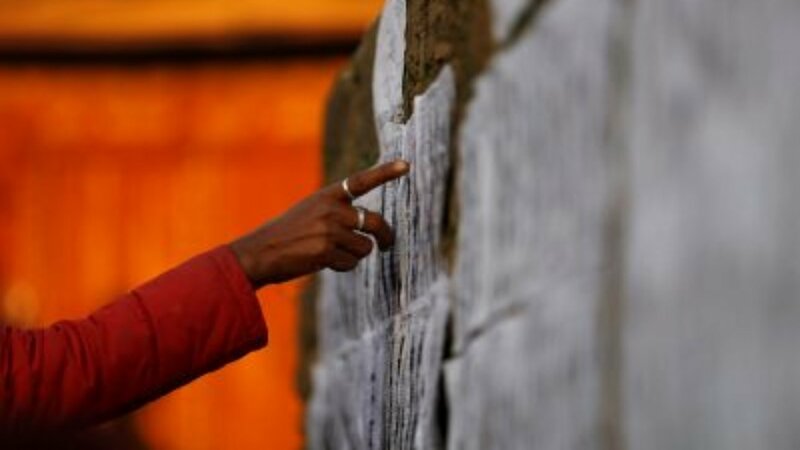 Local elections were held this year for the first time in over two decades, and along with the federal and provincial elections, the political transition came to an end and turned the hopes of countless Nepalese voters into reality. Ironically, their hopes were answered by Prime Minister Sher Bahadur Deuba — the same politician who dissolved local bodies in 2002 and throttled Nepal’s decentralisation journey when he previously served as prime minister. In Nepal, local bodies are important for two reasons. First, they cannot be impeached for the next five years, which grants political stability. Second, they create opportunities in local economies and thereby decongest the capital Kathmandu, which is currently seen as the country’s only source of economic opportunities. Federal politics also saw major developments this past year. In October 2017, the Communist Party of Nepal (Unified Marxist–Leninist) (CPN-UML) and the Communist Party of Nepal (Maoist Centre) — the two largest communist forces in the country — decided to form an alliance for the federal and provincial elections. This move came as a surprise to the Nepali Congress (the oldest political party in Nepal which was the largest party in the dissolved parliament) as well as India, which continues to have tremendous strategic interest in Nepali politics. The alliance brought together two parties with strong grassroots organisational structures and paved the way for their historic win: they secured 116 seats out of the 165 directly elected representative seats and 58 out of the 110 proportional representation seats. If the parties actually unite in early 2018, to which the leaders of both parties have committed, they will hold 176 of the 275 parliamentary seats. This will give them a nearly two-thirds majority in the parliament. The Nepali Congress, which is the leader of the current coalition government, will be in opposition with just 63 seats. Despite receiving the same number of votes as CPN-UML, Nepali voters rejected the Nepali Congress leaders that were contesting the elections. This loss has been attributed to several problems. First, the negative image of Sher Bahadur Deuba as party leader and prime ministerial candidate eroded public trust. Second, the old guard who have been ‘holding fort’ for nearly 30 years are reluctant to give way to a new generation of party leaders who may be better received by voters. Third, citizens were fed up with infighting in the Nepali Congress. Fourth, the Nepali Congress was seen to be hostage to Indian meddling in Nepali politics. Notably, the party’s failure to oppose the 2015 Indian blockade was unforgivable to many Nepalis. The final nail in the coffin was the party’s list of candidates, which put forward tainted criminals and business people with dubious credibility. So what made the Left Alliance of the communist parties preferable? First, they peddled nationalism — which in Nepal means being anti-India — and voters saw CPN-UML leader and former prime minister Khadga Prasad Sharma Oli as someone who could stand up against India as a result of his actions during India’s blockade. Second, the alliance made stability and development their key message. For example, they took credit for Nepal’s miraculous transition from daily eighteen-hour power cuts to no power cuts. Third, knowing that the Nepali Congress was at the weakest point in its history, the CPN-UML went into this year’s election all guns blazing. The CPN-UML particularly targeted incumbent Prime Minister Sher Bahadur Deuba and convinced voters in many far-flung areas that the Nepali Congress was the key reason for Nepal’s underdevelopment. Following the end of political transition, Nepal’s economy and development is the next key policy agenda. This year’s elections were fought and won on development policy, as Nepal concentrates on graduating from least-developed country to a middle income country. As a new government takes over in the beginning of 2018, there are three key factors to look out for in Nepal’s development. First, what will be the Left Alliance’s foreign policy? In particular, how will the Nepali Prime Minister-designate work with an India that does not favour it, and how will Nepal respond to China’s Belt and Road Initiative? Second, will the Left Alliance move away from the crony capitalism and inward-focused nationalism it has practiced and instead push reforms that drive investment and growth? Finally, will the Left Alliance stay united as promised or will political fault lines fracture the coalition and push Nepal back into transition?